Let’s go back to the Uptown Theater in Chicago. The band played a total of 17 shows at this venue from 1978 to 1981. Early on, we visited the first run from May ’78. Now we will visit the last, from February ’81. Consistent with the sentiment that there was never a bad show played at the Uptown, the Dead’s final stand at the Uptown proves the point yet again. And, while there is little trouble bumping your ears into any of the music from this three year span at the Uptown today, it was not always the case. The Uptown runs were generally not on lists, and with minor exceptions, lurked just out of circulatory sight for most of the years leading up to the great high-speed Internet explosion. This final stand from Feb 26th to 28th ranks as some of the best of the entire 17 show catalog. I feel a particular affinity to the first show of this run, in large part due to the musical highlights, but also because it was one of the more cherished rarities on my, or any tape list. This show just wasn’t around much at all. It’s this element that influences my desire to share it with you first over the other two nights of the run. There’s a ton of good music throughout. But 02/26/81 is somehow extra special. The show blasts right out of the gate with Feel Like A Stranger, and the stage is set for a good time. The song flows out with its funk-disco snaking heart, and Garcia is immediately locked into the groove. It’s a bit easier to experience in the AUD, since the SBD finds this jam as a period of level setting – all worth it, as this SBD ends up sounding “just exactly perfect” when it’s all said and done. The Bird Song on this night is spectacular. The solo section is propelled into a whirlwind of melting colors and throbbing suns. Music, direction, and downbeat are all consumed in an avalanche of flames, interlocked in a fractal weave. The music overwhelms here, contradicting any “first set” assumptions we might have brought with us out of the 70’s. We have been unexpectedly thrust into a peak moment of psychedelia, where even as we shut our eyes against the madness, the visions of endlessly turning patterns glowing with lights from within consume our full attention. There is no backing away here. Jerry soars, arching over the music bed with solar flare intensity. He finds lines that arch over head for a million miles. Rolling on and on, the jam absolutely outdoes all expectation. There is so much packed in here that when the actual song returns it feels far too soon. We’re left feeling utterly spent, and only four songs into the show. The rest of the first set delivers more and more of the crackling energy which drove Bird Song to such gripping heights, rounding out with a Music Never Stopped that consumes the entire theater in its swirling and twirling patterns. The mid song drop into Garcia’s solo feels like riding the tightly wound strands of a braided rope made of light. Deeper and deeper, tighter and tighter, the coils spin in on themselves. Then the shift back to the main song theme is quickly overrun in a blazing fire of sound – colossal, shimmering, cart wheeling, impossible angling music, all capped by some massive Phil bombs in a thunderous finale. This is a prime example of how the band was hitting sensational heights of energy in the early 80's, rivaling those of the prior decade. Returning for set two, the band opens with China>Rider. Slowly growing, the transition solo eventually finds its way into the lightning crackle of energy that threw sparks all over the first set. Garcia winds his lead lines into great turning wheels which storm the summit, drawing the entire band with him. We land on the other side, loping along into I Know You Rider, with that familiar Dead groove born out of the acoustic-folk leanings which we generally attribute to 1970-1971, but truly can trace all the way back to the band’s very dawn. This music is a pure embodiment of the Grateful Dead. They played into countless musical styles, but this was truly their own. As we find so often at Dead shows, there’s a timelessness to the music here. Despite every indication that we are listening to an early 80’s show, this music reflects and projects itself through more than the linear time stream in which we hear it play out. It draws energy from this expansion, and the ride is fantastic. The focal point of this second set is the improvisational jam out of He’s Gone. These He’s Gone jams came to be fairly expected from 1979 on, always a showcase for the band’s creativity. 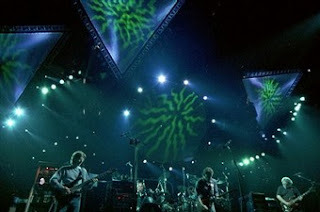 On 2/26/81, right at the eleven minute mark, the band streams out in nearly Dark Star like grace – a sea of starlight slowly undulating underfoot, with forever expanding ripples set off by each step we take into this ocean. The jam takes form, leaning at once toward Other One, and then backing away. Garcia is wrapped up in a triumphant march of emotion, casting one soaring line after another, most of them tagged with their own embedded echoing of phrase after phrase. Again Other One comes roaring in, and the music swells with energy. Then, as if emerging from a dark forest, the music opens onto a musical plain with hills receding over one another for as far as the eye can see. Gently, the power of the empty spaces between the music takes on its own energy. Quickly, the multi-colored pinwheel pervades our visual field again, and the music shifts into a romping Aiko Aiko/Not Fade Away cadence which eventually gives way into Drums. The post Drums portion of the set continues to entertain with more deep weaving solos and high energy output, capping off another fabulous night at the Uptown Theater on the northside of Chicago, just about a 20 minute walk from where I was growing up. I missed this show (a fistful of years before I understood the band was something more than the unappealing country rock-ness I heard while listening to the songs Sugar Magnolia and Casey Jones on the radio). I do distinctly remember walking the halls of Lane Tech as a freshman, eying a bunch of people in Dead concert shirts (probably just after this run) and completely scratching my head as to why on earth anyone would dig these guys. Ahh.. youth. The show is available in both a beautifully clear soundboard, and a well recorded audience tape - thanks, Barry Glassberg, for coming to town for this run. When I think back to some of the most pleasurable aspects of tape trading from back in the pre-high speed days, little compares to the anticipation of getting home to check the mailbox, coupled with finding it crammed with padded envelopes full of tapes. Opening the envelope, seeing what a trading partner may have included in the way of tape covers and extra info, setting up to taste test each tape for little 20 to 30 second listening samples to see what sound quality was going to be like – all of this stuff made up a lot of the personal joys in tape trading. Another fond memory was the time spent pouring over my copy of Deadbase IX, reading over set lists and show reviews in an effort to figure out which shows I was going to go after in my next trade. Mostly, there are well worn, finger smudged page edges covering the 1973-1974 section of my Deadbase. I spent a lot of time there. I remember first landing upon the concept of the "Playin’ Sandwich" while reading some review, thinking about how cool it must be to hear the band slip from one song to another, and another, only to slip back in reverse order again. How cool must that be?! And the first sandwich I got my hands on was this classic from 11/17/73. At the time, only a partial second set circulated. It was a one-tape-wonder picking up with its famous Playin’ sandwich: Playin’ > Uncle John’s Band > Morning Dew > Uncle John’s Band > Playin’. 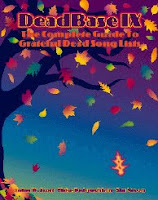 This is a classic Grateful Dead tape; another that most everyone would or will get their hands on eventually. And it lives up to all expectation, defining everything that was characteristically Dead in the closing portion of 1973. Dropping right over the edge into the jam, Playin’ In The Band immediately finds itself in a liquid and flowing river of music. 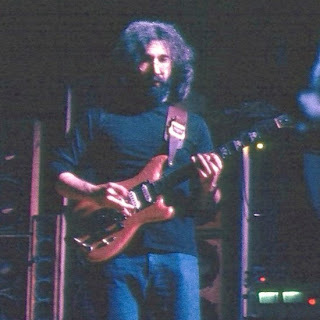 By late 1973, the Dead had mastered what we typically think of, or hear as, the 1973 sound. The loose and lazy jazz-like leanings of the Summer had given way to something more tight, and intricately driven. The band was sounding more in control, and at ease with all that 1973 brought to their playing style. Billy and Jerry personify these qualities together as we listen to the jam unfold. Things are hot, but not bristling with electricity. The impression is one of a river coursing quickly over boulders low enough in the waters not to create white caps or rapids across the surface. But the undercurrent’s speed is unavoidable. As the jam moves along, the river comes to fill not only the space below you, but all levels of perception – in nearly no time, the music fills all experience. Eyes shut tight, we corkscrew and coil through an endless landscape of swiftly breathing shapes and borders. When there is time to perceive the parts of the whole, you can’t help but be amazed at how closely the band is listening to one another. Phrases pass back and forth, volume swells and recedes, and all things demonstrate that the band is far less a five-piece, and more undeniably one single expressive force bound eternally together. The fluidity of how the band makes its decision to head toward Uncle John’s Band approaches the miraculous. So softly at first, then disappearing, then coming fully into view. Landing at the softly lapping riverside of Uncle John’s is heartwarming. As the song begins, you can barely believe it’s happening, coming out of the amazing segment beforehand. It makes it all the more enjoyable. UJB plays on, and is filled with that timeless presence so true of many Dead songs. There is a comfortable familiarity and joyfulness to the song. The music moves into the 7/8 time signature section, and again the fluidity returns as the river pulls you back in. Dropping slowly away, Morning Dew begins. 1973 Morning Dews are a luscious breed; so warm, and so tender at times. With this one, Jerry’s vocals are riveting. You feel like he’s singing out his tale with you sitting right at his feet – a sensation plentifully common throughout the Dead’s concert history. Again, there is a certain sense of safety and comfort playing out of the music. Garcia’s solo in the middle of the song is forcefully triumphant, matched toe to toe by Phil’s enormous thundering of notes. It is then particularly entrancing to hear them exit this section into the last verse, playing as softly as mist over mountains. The haunting beauty of Jerry’s final “I guess it doesn’t matter anyway” lines, followed by the intensely delicate build of the final solo are forever burned into my brain. There’s a single note where Jerry rides the volume knob just a bit. It penetrates to the bottom of my heart. Then the music floats and sparkles its way further and further along a path leading us higher and higher. As Morning Dew gives way, making a sharp turn back into Uncle John’s Band, the experience is breathtaking, good enough to offset the fact that we don’t reach the always appreciated climax of the song itself. Uncle John’s returns and finishes off the vocals, cart wheeling almost immediately back into the deepest and most gooey rich sections of a Playin/Uncle John jam on the shoulders of Garcia’s wha wha pedal. The following section is pure 1973 satisfaction. Jerry’s notes cry out in expressive emotions, lifting the music into a swirling dance of inspiration. While there’s little denying that we are firmly fixed in a Playin’ jam, it is still as freeform and improvisational as you could imagine. Eventually energies being to explode and erupt around us, towering jets of musical power pushing to the edge of what we call music, hinting at complete meltdown, but never giving way. We are perfectly balanced between two phases of the Dead’s musical growth during this period. We can fully hear the lush and breezy playing style of 1973, layered over the mounting energy of crafty musicianship that would bend and turn at more mind numbing angles as 1974 took form – a great window into the band as it was ever evolving and pushing personal boundaries. Playin’ returns to cap off the sandwich perfectly, and we come away almost unable to believe it all just played out this way. Just wonderful. The entire show now circulates, and there is plenty to enjoy, including a great Eyes of the World with its swiftly swinging tempo and rich rolling jazzy explorations. But this date will forever be most famous for containing one of the best Playin’ sandwiches of its age. Whether you’re hearing it for the first time, or ready for a long overdue return visit, this is vintage Grateful Dead in top form. There are a bunch of different sources floating around for this tape as well, and I’ve picked what I feel to be the most clean – not in the sense of sound quality (the SBD is A quality, and always has been), but more from the processing side. I’m not a big fan of tapes that are run through EQ and sound processing enhancements. That’s just me. So, rather than opting for a copy that has been enhanced in any way, I’m sticking old school here. Plenty of pure bliss to go around just as it is. Enjoy. There are few things more frightening to most Grateful Dead tape collectors than shows from 1986. Okay, a lot of 1994-95 Dead shows may rank above ’86 for pure fright factor, but that’s a story for another time (though certainly related). 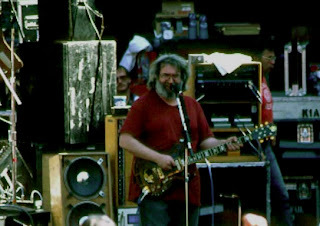 His health failing, 1986 was the year where the road, and a heroin addiction, seemed to catch up with Jerry Garcia, landing him in a diabetic coma in July of that year. There were many shows during this downward spiral that could, at best, be described as “phoned in” with few, if any, stellar moments. The band relied heavily on Garcia’s ability to shine, and when he was compromised, the entire band suffered. Beyond the last years of this band’s saga where Garcia’s drugs and health would continue to see-saw the band’s output , 1986 might be the most difficult year to traverse when looking for spectacular shows. And the overabundance of “lowlights” are a constant reminder of the darkness that was slowly emerging. 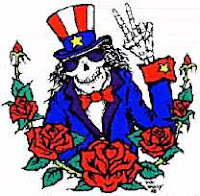 The theory of many old Deadheads, who claimed it was all downhill from the beginning, is fully supported by the time we reach 1986. This is not a year you want to set up on a roulette wheel and give a spin. You are likely to crap out more often than not. 1986 probably doesn’t appear on anyone’s top ten list of Dead years. In fact, conversely, it probably tops nearly everyone’s list of worst year of the 80’s overall. Most certainly it is the low point of the first 21 years of the band’s history. Yet, for me, this makes the 1986 diamonds in the rough that do exist all that more meaningful, and worthy of hearing. True to the more and more inconsistent output of the band, there are some high points in 1986 that completely belie the reputation that the year rightly carries. 1986 has a lot of flashing orange warning lights and “enter at your own risk” signs on its door. In a strange way, these cautionary messages seem to hide some moments of real beauty. The entire concept of the Grateful Dead Listening Guide is at play here as we step into 1986. Everyone ought to put some of this year under their belt, and I will attempt to point out some moments that buck the trend. You can then feel free to spin the wheel and listen to more on your own in an effort to understand what seemed to be going wrong in this year. Here on March 27, 1986, as could often be the case in the 80’s, we have a show that stands out with a powerful first set. The band absolutely erupts with energy throughout set one, and they even get off to a tremendous start in the second set. As things move along, the energy settles a bit, yet the entire show is still satisfying. Note, we are talking about 1986 here. The expectations are set pretty low. In a year that gets a deservedly bad reputation, it can be mesmerizing to hear the band completely at the top of their game. Low expectations aside, the highlights here measure up to much of the 80’s nicely. Jack Straw leaps out of the gates, and everything is bubbling. This was one of those general admissions shows with no chairs on the main floor – just lots of happy ‘heads spread out on blankets. The energy is warm and welcoming. Jerry is flying, pushing the opening song higher and higher, and the crowd loves it. Paul Hogan’s AUD is spot on in its ability to capture the music and energy. The powerful opening tune sets the stage for a great evening. 03/27 also contains the one and only rendition of Revolutionary Hamstrung Blues. The music was written by Phil and Brent and the lyrics came from Bobby Petersen, a beatnik poet who was one of Phil's old friends. Petersen also wrote Pride of Cucamonga and New Potato Caboose. He died in 1986 and Revolutionary Hamstrung Blues was the last song that he contributed to the Dead. This leads right into Bertha, and we can sense that Jerry is warming up even more. I’m a big fan of the song Big Rail Road Blues. I like it because it often served as an ignition point for Jerry to really explode – in the same fashion as Big River. 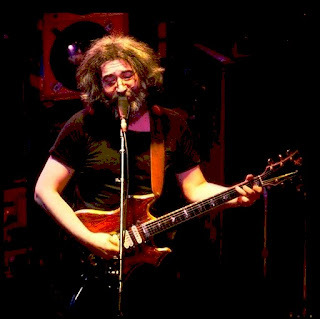 This night's version is no exception, and Garcia rides the song’s wave deeply into a sizzling explosion of energy and dexterity. Just as you think he’s wrapping things up, he bursts forth with another round of fire from dizzying heights. It’s this sort of thing, hidden in a show from 1986, that adds to the pleasure lurking in this year. It defies the logic of what we would expect from ’86, and thereby increases the enjoyment. The Supplication Jam is born out of silence, Bobby working the theme as the rest of the band slowly joins in. Again, more crackling energy pours forth, and there is lightning shimmering off of the stage in smoke-like tendrils. It’s a ferocious energy that slowly expands as if being seen under water – electric neon colors bleeding together and drowning everything. Garcia tears things up, and Bobby absolutely cooks. This jam contradicts everything most people think about when they ponder a year like 1986, and it is precisely why we should be so careful not to prejudge; to always be open to magic at every turn. The band sounds so at home in this jam, really pushing the rhythms intricately along. Then, as icing on the cake, the band transitions beautifully into Promised Land. It takes a bit of time, and just as the music’s own decision making process could teeter into a potential train wreck, it saves itself perfectly. Promised Land, then, delivers a sensational end to the set. Easily matching Big Railroad Blues, Promised Land explodes. 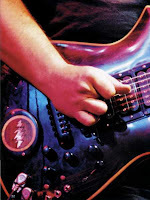 Firing on every cylinder, when we get to the final lead section and hear Garcia shredding notes in rapid succession, we can’t help but be elevated into the soaring energy of the crowd around the taper. The set ends on a fantastic high, back in that wonderful Dead space of smiles all around. Set two opens with China>Rider. This is another one of those tunes (albeit two) like Morning Dew that defies a solid time stamp. It has a certain timelessness to it, carved deeply into the tissue of the Americana-folkloric legend of the band. It’s part of a select group of songs that came to typify the Grateful Dead throughout their career. It’s part of a top five list of tunes that do this, though I’d be hard pressed to want to firmly call out what that list of five were without sparking a huge debate among fellow deadheads. So, I’ll leave it at that for now. Generally, it is tempo which bares the most era-specific identifiers to China>Rider, and in the 80’s the tune’s tempo ran fast. Here on 03/27/86, the song draws on all the burning intensity that capped the first set. The songs brim with energy. The transition solo finds Jerry crazily mounting an accent in his playing as the band corkscrews and geysers into a rippling light bath fountain of energy wiping away all ability to stand apart from the music. In a mostly indescribable display of energy, the band purely outdoes all expectation. Breathlessly, we drop into I Know You Rider. The tempo is ramped way up, and while it might not be cooking at its original tempo of 20 years earlier, it is darn well coming close. Jerry’s leads burble out, like the water music of a drinking fountain, notes flowing endlessly after one another in their own game of follow the leader. Showers of sparks and exploding flower petals stream out in all direction. We couldn’t be in a better spot right now, leading off set two. The show could end here and already I’d regret forever not forcing you to leave with this tape in your arms way back when you first visited my listening room. Estimated Prophet good, if slightly overshadowed with the Bob Weir cheese factor. This describes Bob’s growing tendency throughout the 80’s to play heavily to the crowd through his vocalizations. Here in Estimated he over sings/shouts a lot of the vocals and then treats the crowd to a rousing “Heh-HEY” screamfest toward the end, complete with long delay on his vocal mic. Through it all, and after it all, Jerry is there coiling leads slowly and surely on the way to Eyes Of The World. By the time the song actually gets going, Jerry is in fine form indeed. The tempo rolls at a blistering pace, and Garcia’s ability to skip along notes like dancing across grass blade tips as he plays is very nicely done. Before going much further though, I need to warn you about Bob being horrifically out of tune. His screams from the last song clearly drove his D or G string into cowering flatness, and it takes him the first three minutes of Eyes to work it all out. After that, the song flows beautifully, and as the jam extends itself (this is a long, nearly 15 minute version), we find Jerry briefly floating lightly in a broad orbit around the music. The band traverses mountain sides, and cloud patched skies together, whirling on lazy winds. The winds ease the band into a wide valley where the music settles like dew, and the segue into Drums begins. While the rest of the band leaves the stage to the percussionists, Jerry remains for nearly three minutes playing amidst the feet of the slowly approaching, towering drum giants. His guitar drifts further and further out into an echoing space, eventually leaving the drummers to their work. Space leads nicely into a Spanish Jam, and the tune casts its haunting psychedelic shadows around the music nicely. It then segues easily into Truckin’. It’s a bit of a textbook version, complete with Bob messing up lyrics. 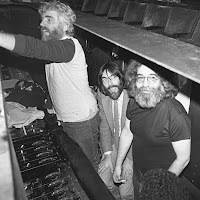 It ends with Jerry pushing toward Black Peter before changing direction into Wharf Rat. Sweetly emotional vocals, and strong solo work from Garcia, make this a very nice version for 1986. Sugar Magnolia rocks very nicely. The band has enough gas in its tank to lift the song, and the crowd back up to a peak of energy. 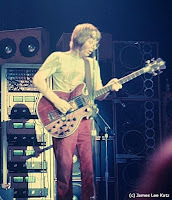 Bobby then absolutely mangles the vocals on the lead-in of the Sunshine Daydream end jam. He laughs at himself, more than once, and it all lends to that wonderful Grateful Dead vibe (only our Bobby could blow the lyrics to Sugar Magnolia). All in all, the set ends on as high a note as could be hoped. Day Job is the encore, one of the most unliked songs in all of Deaddom. If you don’t dislike it, it might just be that you just haven’t been subjected to it from more of the 57 times it showed up between 1982 and 1986 . This night would mark the second to last time it was played. Most deadheads say, good riddance. I'm not really sure why. I don't find it as off-putting as some tunes.